I have been resisting the urge to buy the NYX Matte Lip Cream. It kind of scared me because it’s MATTE and my lips are prone to drying up. Boo! But when I wanted to do a mini-haul at Digital Traincase because I got the P250.00 off my purchase when I signed-up for their newsletter and I was not strong enough to resist the beauty of the Matte Lip Cream! I’ve read good reviews about it so why not give it a try, then? First of all, the packaging is simple and I love how it’s so portable that I can just slide it in my pocket and bring it anywhere. I love how matte looking the packaging is and yes, I was scared at first to go try it on for a day because of the problem I’ve mentioned above (in case you don’t read the whole entry, my lips are prone to drying up), but I love how it smoothly glides on my lips, just like the round lipstick only you apply it using a typical lip sponge applicator, but gives off a beautiful matte finish. Good news! It did not dry up my lips but it could also be because I dabbed a bit of lip balm before using this product. LOL. I’m quite a careful lass, you see. After an hour, it was, of being on my lips it doesn’t transfer that much anymore and it will last for quite some time, probably, 5 or more hours? I usually wipe it off and re-apply after my meal but it can, somehow withstand your meal but of course, it’ll just leave a thin color of the product on your lips so re-application is needed still. You know, I think I’m getting pretty good at choosing what shade fits me best when I am shopping online. 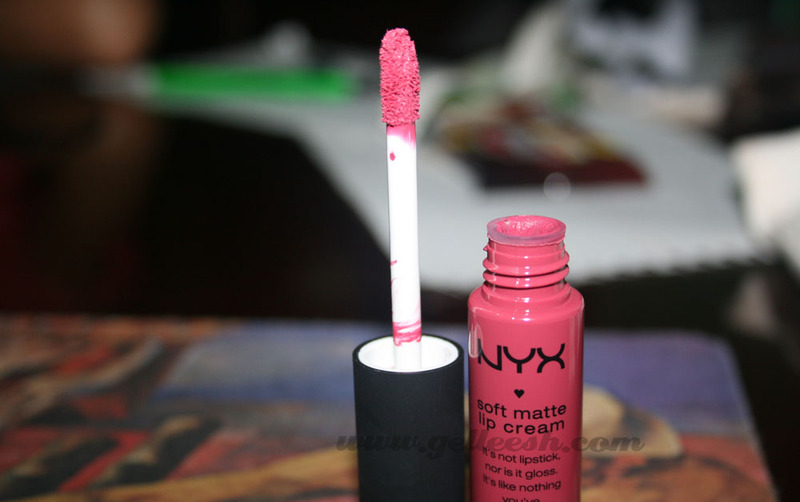 The San Paulo shade was the best NYX Lip Cream shade for me. God, I’m amazing. Haha! drying, which may be true but not to me because like what I’ve said before, I’m a careful lass, so I apply lip balm before using it on my lips. I think I’m giving this product a 10/10. It’s my current favourite lip product and I do not have any bad experiences with it. I always bring it with me and use it almost every day. Have you given this product a try? Well if you haven’t, go look for your perfect shade now and give it a try because it is so worth it, trust me. That shade looks great on you. I may try NYX lip cream. Thanks for the review. I just followed you. I hope you can check my blog and follow me, too.